Porto da Pedra samba school final rehearsal before the Carnival parade in Rio de Janeiro. 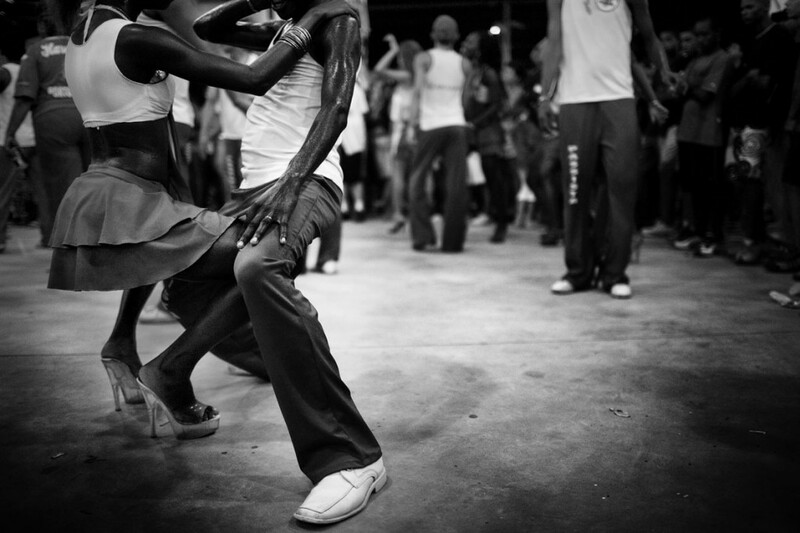 The Carnival in Rio de Janeiro is one of the most importants carnival celebrations in the world..This final rehearsal was done in Sao Gonçalo a large slum area in Niteroi were the school is based. 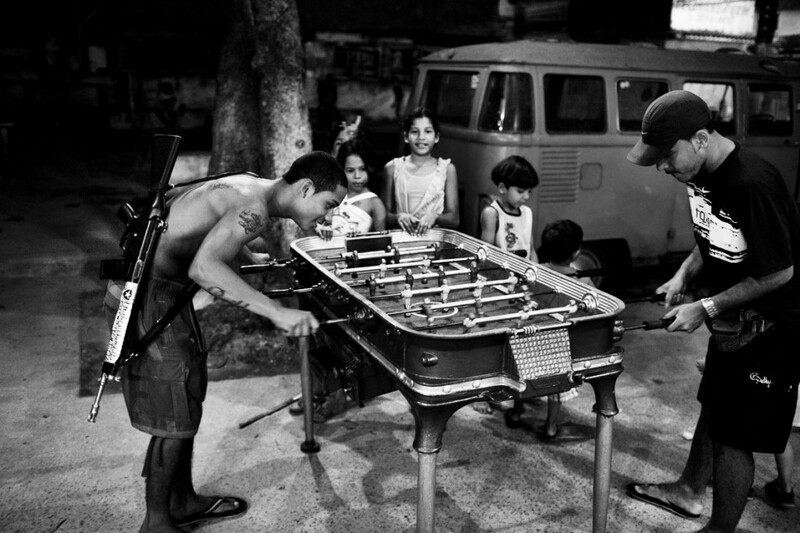 A young drug trafficker plays fussball with another young man in Morro do Dende (dende slum) in northern Rio de Janeiro, Brazil. 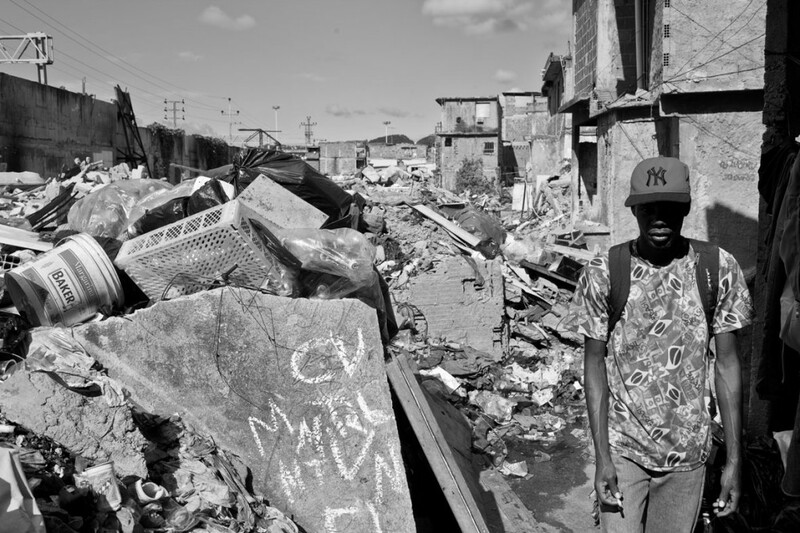 A resident of the metro favela just 300 meters away from the maracana stadium in Rio de Janeiro walks past the ruble from demolished houses that the city government tore down to build a parking lot for the Fifa World Cup, which was never constructed. 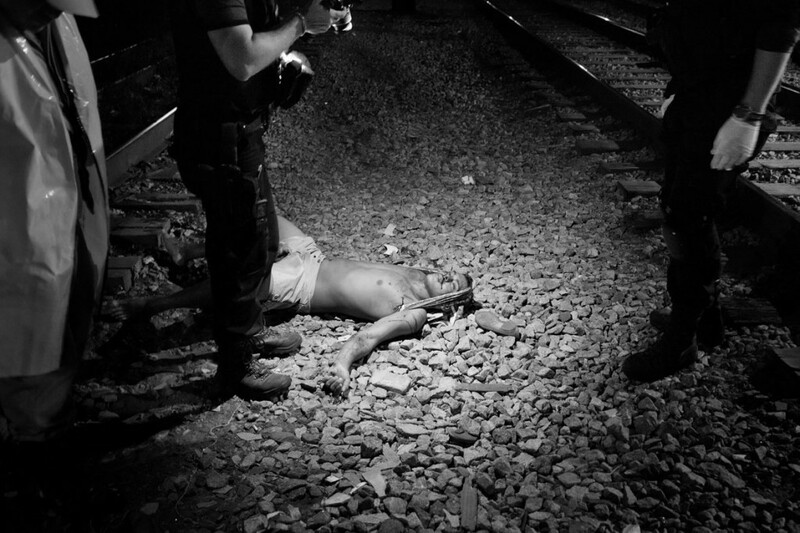 Policemen from the Homicides division of the civilian police of Rio de Janeiro work on a crime scene where a man was executed in the train tracks near the Madureira neighbourhood of Rio de Janeiro. João Pina is a freelance photographer born in Portugal in 1980. He began working at age 18, and graduated from the International Center of Photography‘s Photojournalism and Documentary Photography program in New York in 2005. He is currently based in Argentina. Pina’s photographs have been published in the D Magazine, Days Japan, El Pais, Expresso, GEO, La Vanguardia, New York Times, New Yorker, Newsweek, Stern, Time, and Visão, among others. 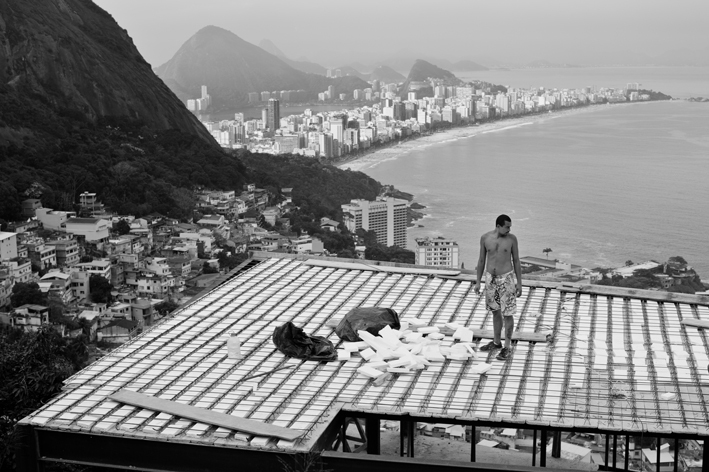 His work has been exhibited at the Open Society Foundations (New York City) International Center of Photography (New York City), Point of View Gallery (New York City), Howard Greenberg Gallery (New York City), Canon Gallery (Tokyo), KGaleria (Lisbon Fernando Pessoa’s House (Lisbon) and Plataforma Revolver Gallery (Lisbon), the Portuguese Center of Photography (Porto), and Visa pour L’Image (Perpignan, France). In 2007, Pina published his first book, Por Teu Livre Pensamento, featuring the stories of 25 former Portuguese political prisoners. This project inspired an Amnesty International advertising campaign that won him a Gold Lion award in the 2011 Cannes Lions International Festival of Creativity, and won the OSF – Moving Walls 21 in 2013. He also received the Estação Imagem grant in 2010, and was a finalist for the Henri Nannen and Care awards in 2011, and the Alexandra Boulat Grant in 2009. In 2014 he finished his longest personal project, documenting the remants of Operation Condor, a large scale secret military operation to eliminate the political opposition to the military dictatorships in South America during the 1970’s, which became his second book, “Condor” published simultaneously in three different editions: english, spanish and portuguese. João Pina was chosen by photographer Andrew Lichtenstein. Laatikkomo’s interveiw with João Pina November 17th, 2014. JP: I was born and raised in Lisbon and lived there for 19 years straight. One day I decided it was enough and there were a lot of places to experience, I first lived in Porto where I went to colleague, and then lived in New York, Buenos Aires and Paris for a while. Now I am back to Buenos Aires, where I am based and travel quite a bit trough the region and neighbouring countries. I think, like many people from my generation, I am influenced by a mixture of places where I have lived, but also from cultures that I admire and with technology we have a lot of access to these days. From Cuban culture, to the traditional US-European influences, I have also been truly inspired by many Latin-American cultures. JP: The first photograph I remember taking, I think I was 5-6 years old, and my little sister was starting to walk. My grandfather had a Yashica-Mat medium format camera, and I remember looking at it with the inverted image on the mirror and clicking to take a photograph. I don’t really know if that I was the first photograph I took, but for sure is the first memory that I have. Today I own that camera, which my grandfather later gave me. L: Much of your work is shown in black and white, only a few projects are in colour. Are you photographing in black and white film or do you make certain photographs into black and white when processing the image? JP: I rarely invert images. Normally I photograph black and white (either in my film or digital cameras) either by choosing the film, or setting my camera to photograph directly in black and white. It helps me to edit directly as I want to see the final result. L: And what makes you choose black and white over colour or the inverse for specific projects? JP: Most of my “bread and butter” work is done in colour, and in those cases I don’t have much of an option if my client wants colour. But sometimes we also discuss the photographic approach and its when I tell them how I “see” the story looking. Many times in the past that was in black and white. Today and when it is a personal project, I tend to clearly see some projects in black and white (for example my work from Rio de Janeiro, Arab Spring, Condor), either because I don’t want to be distracted by colour, but many times also by the mood the image/situation creates by using a monochromatic language. But in other cases, like my work in Cuba I see so much potential of exploring colour and the nuances it gives me, turns my eye into looking and wanting to show colour. And also, very often I try to get out of my comfort zone, so I tend to keep trying different photographic approaches, either by using different camera formats, lighting techniques or film/digital. L: Some of your subjects are very heavy and difficult. Do you have a counter project, something of lighter content that helps you balance out the hard projects? JP: I do not completely agree that many of my subjects are heavy and difficult. Life is heavy and difficult to many people around the World. In our first world countries, we take everything for granted, but the fact is that a big percentage of the World’s population, doesn’t live in democratic countries, have food on their tables every day, have access to public services, running water, electricity, good schools or health systems. What I try to achieve with my work is to show that life isn’t as glossy to everybody, and specially that even though many people live in bad conditions, they are also capable of doing wonderful things with little means. That is to me, truly inspiring. On a personal level, the projects that really interest me tend to be “heavy” as you say, so I don’t really spend much of my personal time and resources to research “lighter” projects. Saying this, a lot of my commissioned work is to photograph things that to me aren’t socially engaged, but have a great photographic potential, and I enjoy spending my time photographing it. For example this year, I have spent over two months photographing Lisbon for a city guide. It was wonderful to wait for the good light and photograph out in the streets without a clear message around my images. L: Has the role of a photojournalist become synonymous with that of a global freedom fighter? One who searches out injustice and brings them to light? JP: I never quite saw the role of a photojournalist that way. First, because most of the photojournalists around the world (and especially these days) our work can be very boring sometimes. Waiting to photograph press conferences, or what the politicians want us to see/show. On the other end, I think everyone who as a humanistic vision of life, tends to have a sort of “mission” to search injustice and shed some light over it. In my case, I think I was never very idealistic to think I could change anything with my work. I do want to recover images/stories/people for future reference and memory. I am very interested in the building of historical memory, and I think Photography is still today the most effective process/language to achieve that. So in my own vision, I think I am more interested everyday in History in itself rather then journalism. L: You have visited quite a few of the current world’s ‘hotspots’ and seen various situations of. Has this given you any insight about more productive ways of facing these issues? JP: Today the world is very concerned about being “productive”. I was raised with that vision, and with the years, I have learned that “productivity” should have a very small role into someone’s life. Sometimes, we are so focused on producing and delivering, that we forget to really understand what is really going on and the long term importance of what our actions and consequences of it. I mean, going to “hotspots” is interesting, but the newspapers and magazines next week will have moved on their agendas and forget about those stories. I see, my role as a photographer, precisely to step back from that cycle, be less productive the way we have been thought, and focus a lot more about what I am doing and trying to achive in an intellectual way and less “industrial” or mechanic way. To me, that means trying to spend the most time I can on a story, understand the most I can from a story and report as deep as possible over the years. That is the reason why I have just finished a project that took me 9 years to complete. Precisely, I don’t want the pressure of having to deliver in a productive way. I am more interested in depth, rather then quantity. This is not only the way to continue to give light to the issues, and also a way to avoid madness. Because if in one year, I go from Haiti to Egypt, to Syria, to Afghanistan, to Gaza and then to Rio de Janeiro, I will be exposing myself to many different and very intense situations. But if I don’t really understand, engage with those storyes, I believe the ghosts of those times will come quicker and harder. I believe that spending the time to really go in, understand, live, helps my own head to understand and process what I see and photograph in other peoples lives. Then, when I go back home, far from those hotspots, it is also important to spend the time, to reconnect with a “normal” world, where people don’t pay attention the though situations you have just been exposed, and built a structure that helps you to go in and return from that in a sane way. L: The tools and systems that enable people to take and spread photographs have become very wide spread, in expensive and heavily used by basically anyone even without any schooling whatsoever. How do you see the future of photojournalism? JP: That is a question with an evolving answer. The world is moving so fast, the probably in between replying to your question and it going online, the world has already changed and my opinion about it won’t be exactly the same as I wrote it. I see the need of telling stories in a visual way, I see the huge interest from a public in photojournalism, either by the tradition “still” photograph, but also moving images, mixed with sounds in new platforms that we all are still trying to understand and adapt. Because of that need for images, I am very optimistic about the role of photojournalism in the future. The one thing at this moment, I am not enthusiastic, is the future I can foresee for most of the newspapers and magazines that we knew in the past that were the privileged place to go for good photojournalism. Saying this, we are living in times, were the need for images is huge, the outlets that will publish good photojournalism are very little, and the prices paid for work and ridiculous. But I think it’s the time it will take to reinvent this industry into something new, that for sure won’t be anything as we used to know, but that will create new spaces/venues to show good photography and its authors will have different ways to make a living rather then depending only on newspapers/magazines. L: Could you list a few words that you were thinking about when you made this work (exhibited in the Laatikkomo Gallery)? JP: I don’t usually think of many words when I am photographing. I am naturally inspired by music, so I often photograph with a soundtrack in my head, or think about photography as the still image of a song. In that particular case, I don’t know which music was in my head, but probably a solo song of the great Portuguese guitarist Carlos Paredes. Thank you so much João!